After a hearing, where city councilmembers stated various reasons for why they were going to vote against the application, Roswell sent T-Mobile a brief letter saying the application was denied and that T-Mobile could obtain hearing minutes from the city clerk. 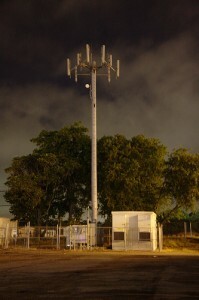 The TCA requires that a state or local government’s decision denying a cell tower construction permit be “in writing.” The district court and other circuit courts have held that the TCA requires a written decision and a written record that explain why the city council’s majority rejected the application. The district court granted T-Mobile’s application. Tim Lay, Jessica Bell, and Katharine Mapes of Spiegel & McDiarmid in Washington, D.C., wrote the SLLC’s brief which was joined by the National League of Cities, the United States Conference of Mayors, the National Association of Counties, the International City/County Management Association, the International Municipal Lawyers Association, and the American Planning Association. Image courtesy of Flickr by Steve Rainwater (creative commons license, no changes made).